Even the biggest aircraft can suffer the effects of wake turbulence, as experienced recently by those on a Qantas Airbus A380 superjumbo double-decker that flew into some bumpy air at the weekend. 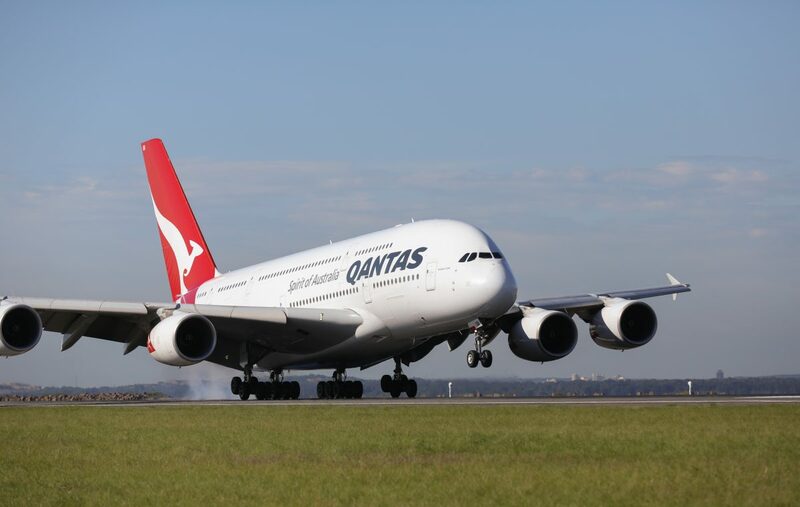 No passengers were injured during an incident which involved an A380 taking off from Los Angeles late on Sunday evening en route to Melbourne, which was flying behind another Airbus A380 aircraft operating another Australia bound Qantas flight. QF94 was approximately 37 kilometres behind and 1000 feet below the other Qantas A380 when it encountered some disturbed air. 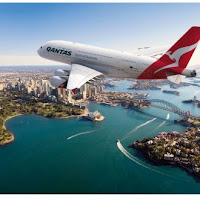 Qantas confirmed that both aircraft were well aware of each other, but wake turbulence can be hard to predict and often arrives as a jolt from the previous smooth air the aircraft was flying through. The wake turbulence that affected QF94 lasted for little under ten seconds and as a result of the disturbed air, the nose pitched up causing the aircraft to climb. Sensationalised reports in the media, especially those that paid for stories, claim the aircraft then plunged down or went into freefall, however, this is disputed by the airline, who advised that "the “plunge” that a few passengers have described was actually the A380 immediately returning itself to a steady state and its correct altitude." Qantas Chief Pilot Richard Tobiano said. "Aircraft are designed to fly level and if turbulence disturbs that, the aircraft will adjust – including going back to the right altitude. QF94 performed exactly as it was supposed to in this scenario and so did its highly-trained crew. The total movement in pitch was about three degrees." "The Captain knew how this would have felt to passengers, so made an announcement to explain what happened and why it wasn’t cause for concern. The rest of the flight was uneventful. Serious aviation incidents need to be reported to the ATSB within 24 hours. Non-serious events like QF94 need to be reported within 72 hours and Qantas did that – one of hundreds of reports we and other airlines make each year that help make Australia’s aviation sector one of the world’s safest." Airlines go to great lengths to avoid turbulence, including vastly detailed weather reports before and during flights, highly advanced weather radars, communicating with other pilots flying along the same air corridor or route, but due to its very nature, turbulence is difficult to spot. Qantas fleet safety Captain Debbie Slade said, "We understand that any sudden turbulence can be a jolt for passengers but aircraft are designed to handle it safely. As the Captain explained to passengers at the time, this A380 experienced a short burst of wake turbulence from another A380 flying ahead and above it." "There are a lot of safeguards in place to reduce the likelihood of wake turbulence encounters, but it’s hard to eliminate. Unexpected turbulence is why we always recommend passengers keep their seat belt firmly fastened at all times just as pilots do in the flight deck."